JCH380N 93RN51 (1966) Bedford J2SZ10 . Plaxton Embassy B19F. Ex-MOD (RN) . Seen ? Leics. 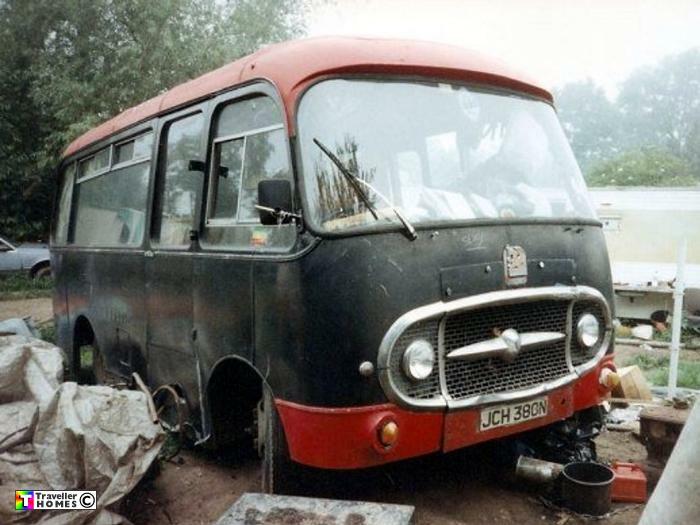 They'd saved it from being a Highfield's street decoration , but later stored it in a field , until someone paid £1.2K on greedbay for it (minus the rear screen) in 2014 . Photo = Angie .